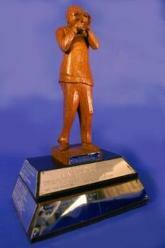 News: Alice is a joint winner! Congratulations go to Derby Movie Makers for coming joint first in the Chocolate Soldier Competition. Pol and Bobs' film 'Alice' tied with Nuneaton Moviemakers' 'Flypast'. As well as receiving the rather unique-looking trophy, Derby now have the honour of hosting the competition next year. The result took some effort - Nuneaton have won the competition for the past 3 years. Based on a true story, Alice tells the thought-provoking and charming tale of an ordinary housemaid. 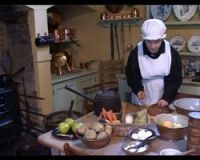 The film was shot on location at the Pickford's House Museum in Derby, and gives a 'real-life' view of what it was like to live through times over 100 years ago. Our special thanks go to the museum staff for allowing us to make this film. Alice can be viewed here.